MilRES® was founded in 2010 by nationally known speaker Buddy West. After two years of researching the subject, traveling to military installations and interviewing military officers and enlisted service members, veterans, their families, and Congressman and heads of the Veteran’s administration, the MilRES® team was ready with an outline and plan to develop the class. This class was not written by a “class writer or developer,” but from content from the military for Realtors® to serve the military. The one day class is just the beginning. It will give you a solid foundation to create systems, generate leads, and provide superior service. The Class will continue to expand adding new information, videos, articles and interviews from agents to political figures to military service members and officers. By taking the class, you will be part of a team of thousands in 41 states dedicated to our military clients. By the end of 2015 ,we will have the entire nation covered. From there, he went on to becoming Vice President of Star Power Systems developing their speaker’s bureau. Buddy is CEO & founder of MilRES® and President of Emory Hill Residential Real Estate in Wilmington, Delaware. He has been a top producer for the last 35 years and continues to be in front of buyers and sellers on a daily basis. Join Buddy in making MilRES® the “go to “ place for our military clients. We are looking for dedicated agents, not the masses. Gee Dunsten is an Army veteran and has worked in the real estate business since 1972. His selling career has crossed the $200 million mark and he is currently an associate broker with Long and Foster on Maryland’s Eastern Shore. Gee has been a senior instructor with the Council of Residential Specialist for over 23 years, having served as their 2001 president. Gee is a dynamic instructor with teaching experience in all 50 states and several foreign countries. Gee is the co-author of SSC (short sale certified) designation, Long and Foster Institute’s preferred short sale training program company wide, and has trained over 5000 agents nationwide on how to successfully facilitate short sales. 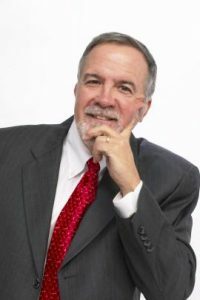 Having just been selected as one of ten Top 5 Elite Speakers, Gee is also a featured writer for RISMedia Real Estate magazine and president of Gee Dunsten Seminars, Inc. Gee instructs MilRES courses.